If you’re experiencing dry mouth, there are remedies you can use to get relief. But, sometimes, home remedies just aren’t enough to relieve that nagging, chalky sensation in your mouth and throat. In times like this, you may want to consider turning to over-the-counter products containing xylitol. Xylitol is a natural sweetener that’s found in fruits and vegetables such as plums, strawberries, cauliflower, pumpkin, and more. 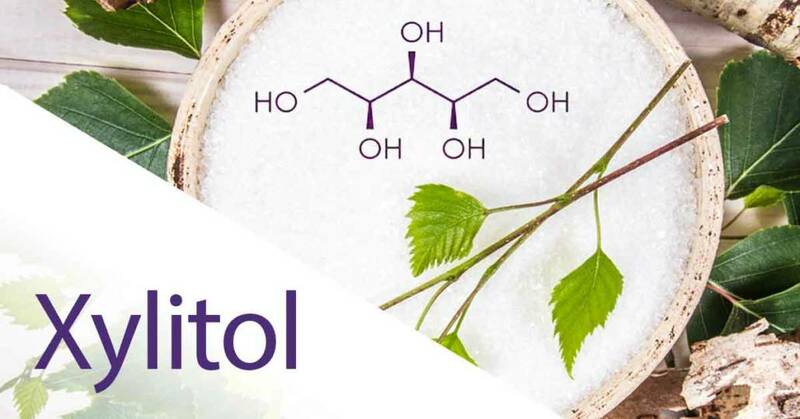 Humans and animals also make xylitol naturally during the metabolism of carbohydrates. Aside from being a sugar substitute, xylitol also can have health benefits. One of those benefits is providing relief to dry mouth. How does xylitol help relieve dry mouth? Xylitol increases saliva production. It moisturizes the mouth without harsh chemicals or detergents (or sugar) that can cause more dryness. This and other oral health benefits is why the most common use of xylitol is in oral health products such as dry mouth mouthwashes, xylitol mints, and xylitol gum. All of these benefits go a long way into supporting a healthy mouth, teeth, and throat. Since the 1990s, more and more manufacturers and scientists have taken notice of xylitol for its many health benefits. In fact, many oral healthcare companies now offer xylitol as a beneficial ingredient in their dry mouth products. This includes our own products such as SmartMouth Dry Mouth Mints, which contains a blend of Zinc and Xylitol to help temporarily relieve dry mouth symptoms. Should I use xylitol mints for my dry mouth symptoms? Causes of mild to severe dry mouth could include dehydration, smoking, side effects of certain medications, infection or disease, or consistent mouth breathing. If your dry mouth symptoms are mild, simply drinking more water or reducing salt and sugar from your diet may be enough to get rid of it. But, if symptoms do persist, for some, dry mouth can be a sign of more serious health problems. It may seem like a minor problem, but it can exacerbate certain oral health issues (such as tooth decay) over time. So don’t allow dry mouth to stick around long term! If you experience any of these more serious problems, especially pain or soreness in your mouth or throat, seek out your dental professional.